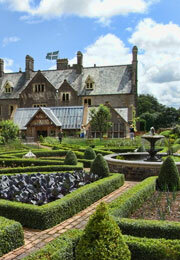 The beautiful county of Devon it was not without its attractions both natural and manmade. Having 2 coasts there is obviously no shortage of beaches in Devon, there are also plenty of picture postcard harbour towns and fishing villages such as Clovelly and Salcombe. 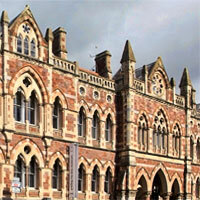 The cities of Exeter and Plymouth also provide both visitors and locals with a host of activities and sights ranging from the Norman / mediaeval cathedral in Exeter to the National Marine Aquarium in Plymouth. 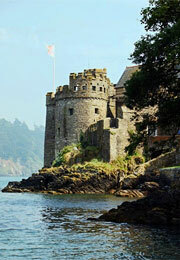 Dartmouth CastleFew will disagree that Devon is one of the most beautiful places in England and the sightseeing opportunities offer plenty to do all year round and for people of all ages. However, we realise that it may take a little inside knowledge to discover many of the hidden gems and other great family days out in Devon. So we have taken it upon ourselves to compile a guide of all the top theme parks, wildlife attractions and historic houses, churches and castles of which Devon has more than its fair share. There are also many things to do beyond the usual tourist attractions. Devon’s history, both industrial and as a seaside holiday destination mean there are many fascinating places of interest for even the most discerning of visitors. These range from the plethora of steam railways to old mills and working craft centres. 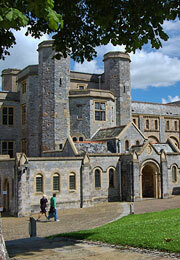 There are also no shortage of small museums throughout Devon, with virtually every town of any importance having one. Paignton beachTo find somewhere to go, something to do or find an attraction you may have heard of simply select the place and/or type of attraction on the right of the page or just click on the map. 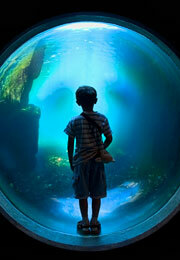 Or just enjoy browsing through our selection of over 100 of the best days out and tourist attractions in Devon. A network of hand carved tunnels leading to unique sheltered beaches and tidal victorian bathing pool. 24 acres of woodland gardens, with flowering shrubs, trees and a wealth of wild flowers.